Browsing the catalogues of some of the world’s biggest artists in hip hop, since the 1990s, wealth has always been a dominant theme in the music and in the presentation. Though hip hop gets a lot of flak for the bling and wealth it speaks about, let’s face it, most genres of music have go-to subjects that establish one thing – status. For example, country music, it’s all about “being country”; at the height of rock music’s day, it was songs about fast cars, masculine dominance, and picking up women; and in contemporary dance music, it’s about how much you can party. Why some rappers LOVE showing off their wealth and why audiences have never grown tired of hearing about it is because it’s a representation of status. At the end of the day, money and all that comes with it is at the center of most peoples’ ambitions. Hip hop doesn’t hide that. Yes, it’s about artistry. It’s also about the art of getting a #1 track, being top of the charts, and spending money. In hip hop and rap, artists provide an image that they assume others will want to aspire to be – just like any other genre. Wealth is important to hip hop because many of its listeners come from backgrounds or are in situations where money is an issue. Hip hop is not middle class music. Needless to say, artists and listeners of hip hop recognize the value and influence that money brings with it, and being in an environment where wealth would mean being able to take care of one’s family better and being able to enjoy life more, it’s important to have that represented in the music. In terms of motivation, wealth is also something to strive for. I mean, the lifestyle is fun or at least appears fun, money seemingly takes care of a lot of life’s problems, and the fantasy of being in a rapper’s shoes gives a little hope to get through the rougher patches of life. The reason why hip hop is so appealing to people of so many different backgrounds is because it’s non-white working class music that gives hope, fun, and motivation, providing examples of people who were once struggling with hardships and who are now living it up. At the end of the day, wealth in hip hop shows it’s possible to grow into something beyond the limitations the immediate environment has set. Yes, sometimes, it does glorify greed in unhealthy ways and some of the criticism towards the importance of money in hip hop is more than warranted. For young people of color though, particularly in the United States, hip hop has made millionaires out of individuals who would have never had the same opportunity in any other industry. 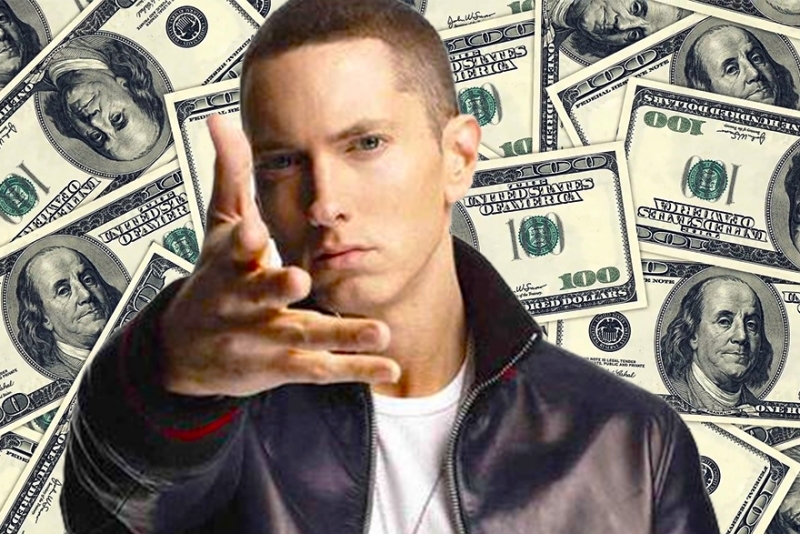 Beyond the mindless fun and excitement of money – which there’s plenty of out there in all genres of music – flaunting wealth in hip hop has a context. It’s important to know what that is and to recognize it’s not inherently a bad thing. As long as audiences are hungry for success and learning about what wealth can mean to everyday people, don’t expect the representation of money in hip hop to go away anytime soon.